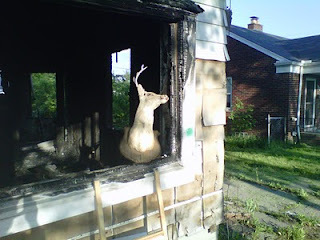 The Warrendale neighborhood, like the rest of Detroit, has more than a few vacant homes. 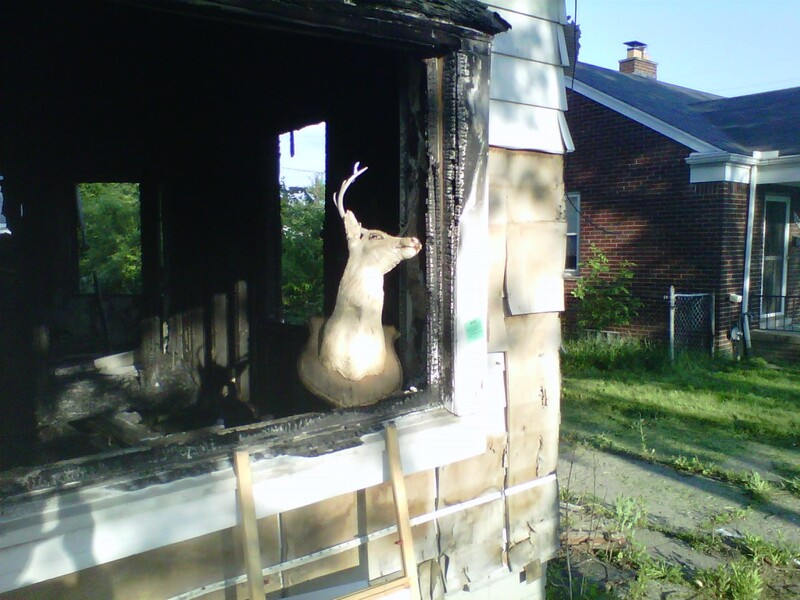 However, where is the last time that you saw a deer in vacant, burned out house? This, my friends, is hilarious. Probably makes a great neighbor. I have about 10 cats and 6 racoons living under the garage behind me. Wonder how I can get them to leave. Neighbor in front of me keeps leaving chicken in the driveway and they cut through the yard to go across the street. Aaargh! Think I would have any luck with animal control? Or, this being Detroit, would they even care? It's worth it to call Animal Control. I can't guarantee that they'll come out, but it's still worth a phone call, in my opinion. The problem isn't so much whether or not they care. It has more to do with the fact that their staffing has been reduced by so much.